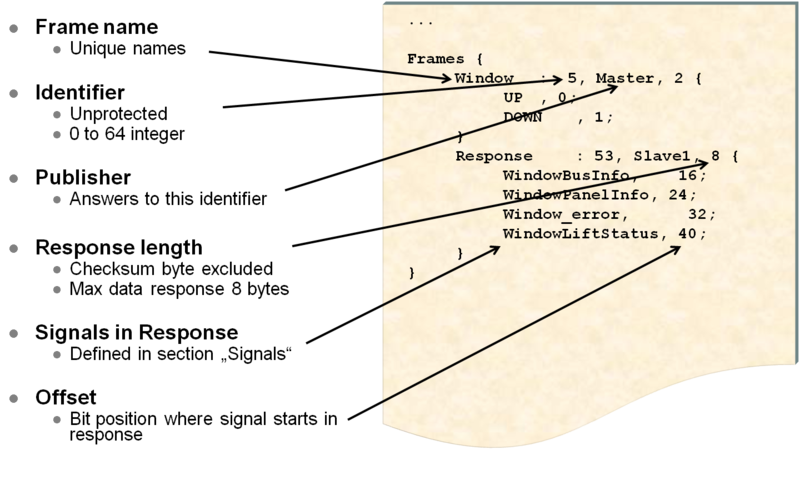 is managed in the LIN Description File or LDF. 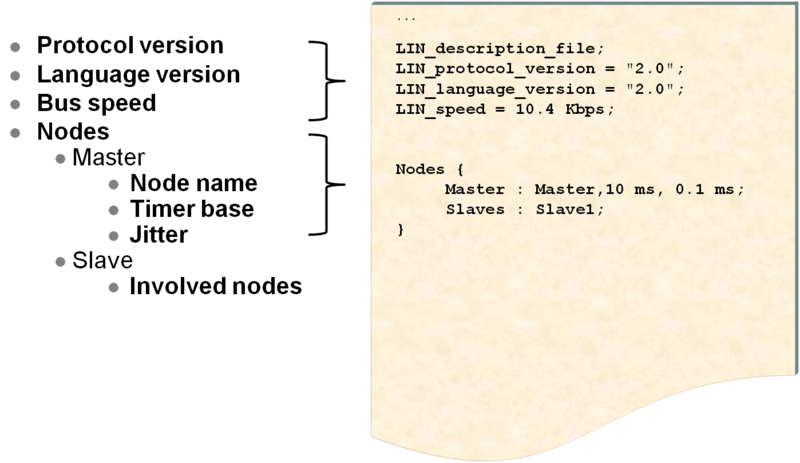 This is an ASCII-text file created by the network designer and provided to vendors who will be developing LIN Master/Slave node hardware/software. 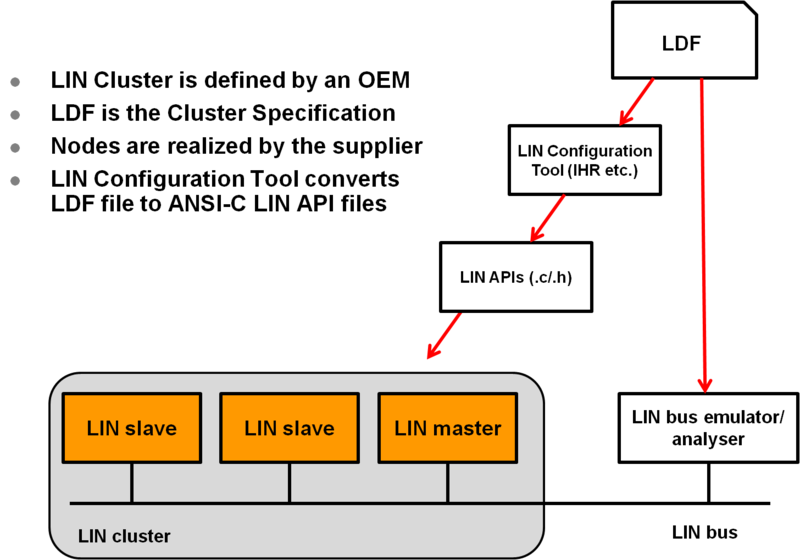 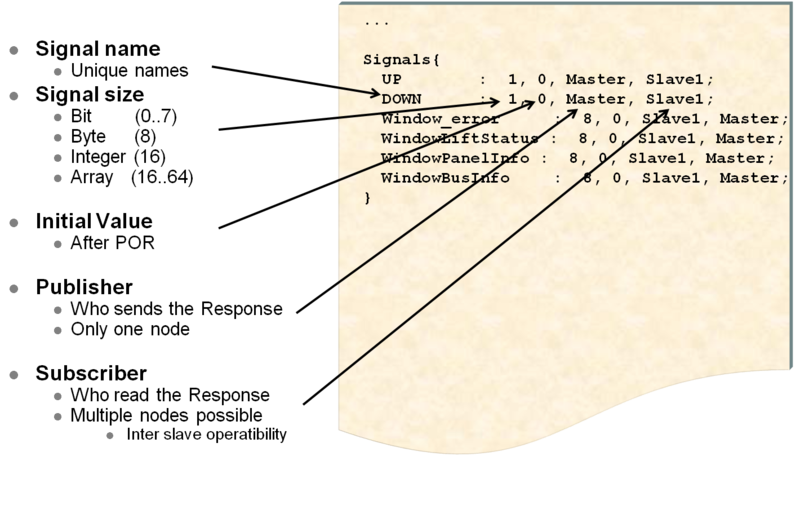 A detailed description of the LIN Configuration Language is provided in Section 9 of the LIN v2.2A Specification.